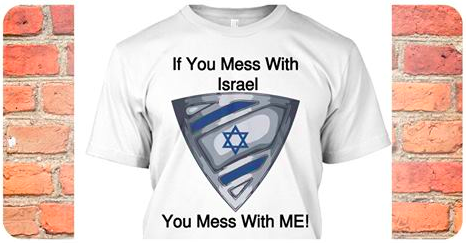 ISRAEL - JUST THE FACTS: Yemenite Muslims Worshippers Were Cursing America & Israel, Then This Happened! 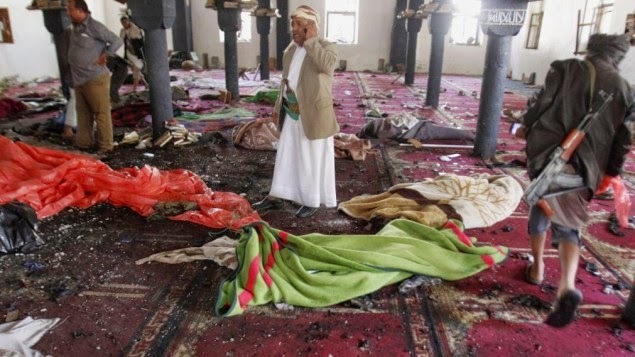 Yemenite Muslims Worshippers Were Cursing America & Israel, Then This Happened! "Our belief in Allah will increase after today. We will triumph over their deceit and their arrogance. Allah is with us!Death to America. Death to Israel. Curse upon the Jews. Victory to Islam. Allahu Akbar"
It was at this point that the suicide bomber hit the button and sent this congregation of Muslim bigots to meet their 72 virgins! Here is the live video with English translation by the Arabic media watchdog, MEMRI. These people deserve no mercy and no pity, not because they are Muslim, but because they are bigots who are thirsty for murder. They have educated their young to kill and pray for the destruction of others. If there is anything Hitler taught the world, it is there is a time to stop talking and start dropping bombs. Before demanding Israel to make a peace deal with people who hold the same ideology as these bigots in the video below, show me an example where they have peace between each other! 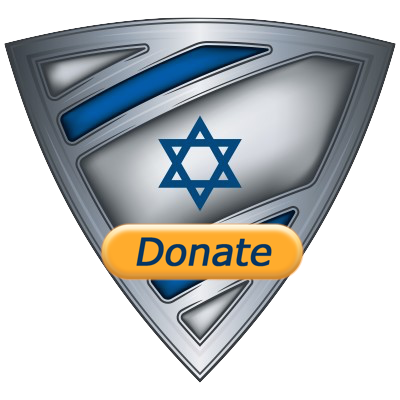 Help us support over 1,000 families of IDF soldiers who are in need of financial assistance. These soldiers try not to come home in order not to be a financial burden on their families. Join the Passover IDF Celebration campaign and let's give these soldiers a reason to celebrate! We Will be delivering holiday packages to these families with the essentials that will make their Passover a happy one! There is ONLY one week left to Passover so please contribute below and help us make their holiday a happy one! 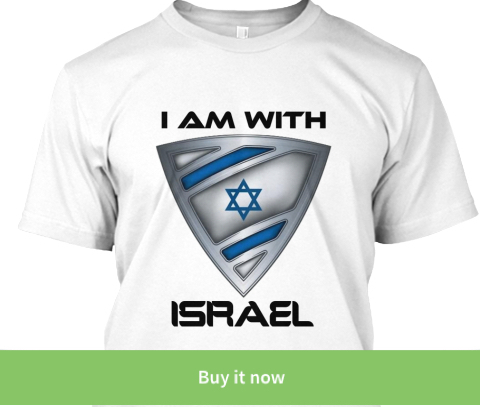 CLICK Below To Order Your Israel Shield Shirt TODAY!